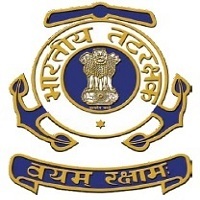 Indian Coast Guard Recruitment 2019 notifications for Civilian Vacancies of Draughtsman III, Civilian Motor Transport Driver (Ordinary Grade), Engine Driver, Sarang Lascar, Lascar I Class. The detailed eligibility and application process are given below. Two years Diploma in Draughtsmanship or its equivalent. 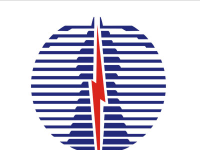 Must have completed apprenticeship or at least three years in Naval/Marine/Electrical/ Mechanical/ Structural/ workshop/Civil Engg drawing office or Naval Architecture ship construction. Must possess valid driving licence for both heavy and light motor vehicles. Should have at least two years experience in driving motor vehicles. Engine Driver: Certificate of competency as Engine Driver from a recognized Govt. Institute or equivalent. Matriculation pass or its equivalent from recognized boards. Three years experience in service on Boat/Barge. The selection of candidates will be based only on the merit in Written Examination. However, the skill / physical tests wherever required will be conducted, but will only be qualifying in nature with no bearing on the overall merit. Shortlisted candidates will undergo a written test/aptitude test on the basis of educational /technical qualifications prescribed for the post. The syllabus for written examination consists of General Knowledge, Arithmetic, General English and knowledge/experience related to the concerned post. The total marks for the written test will be 50. Trade Test: Trade tests are devised to check the performance/aptitude of a candidate for the trade, for which he has applied, as applicable. 45% of SC/ ST candidates. How to apply for Indian Coast Guard Recruitment 2019? 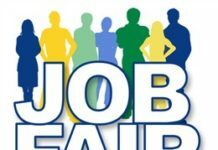 All interested and eligible candidates can send a duly filled application form (in prescibed format) along with required documents to the respective Coast Guard Offices on or before 30 June 2019.